Excellent saving on the baby Sonos, the play:1. A fantastic place to get started with the Sonos experience, to equip a teenager’s bedroom, or to add to a home cinema experience in a main room. Sale ends on Monday 28th November 2016. It is, of course, only a bargain if you intended to buy anyway. Otherwise, it becomes an impulse purchase, which of course is what the retailers are after. Do note that if they can make a profit on sales at these prices, what profits are they making the rest of the year? These comments don’t just apply to Sonos products, either. You’re right of course, Mick. We should all be living sensible sustainable lifestyles. 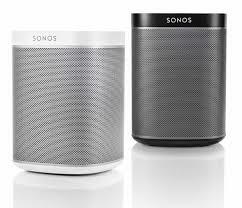 However, the 15-25% discounts here are hardly indicative of an exorbitant margin, particularly as they are on Sonos’ own store, and thus there is no margin being given away to a retailer. On the other hard, if you were going to buy a Sonos at some stage, and particularly as a gift for Christmas, it makes sense to make use of this deal.